I’m probably a somewhat unusual Daniel Handler fan. I fell in love with his writing in The Basic Eight, not his more lucrative children’s literature. I haven’t picked anything of his up for a while, but Adverbs finally bubbled to the top of my queue. Adverbs is kind of an experimental piece of work. It’s constructed as a series of vignettes circling around similar, but maybe not identical, characters who are all confronting love, catastrophe, taxis, and pop music to varying degrees. The book is definitely an odd reading experience. Each vignette is thematically connected and written in a similar style, but the particulars are mostly echoes and allusions rather than a sustained narrative. Each succeeding interlude subtly changes the players, focus, and stakes without changing tone and style. The whole thing feels rather dreamlike. If you’re a long time reader of the Legion of Super-Heroes, this is a recognizable feeling. That franchise of DC Comics has been restarted and its most popular tales retold many times. Each restart and retelling comes from different continuity and features different interpretations of its sizeable cast. Each vignette in Adverbs feels like a rebooted continuity from comics. The reader can see how it all relates, but a lot of the fun is seeing what’s different. It helps enormously that Handler turns a brilliant phrase and is a keen observer of people. Adverbs doesn’t follow characters through a conventional growth arc and hit the reader with emotional revelations. Handler can break your heart with a one-line simile though, and he does. Overall, it reads a little like Love, Dishonor, Marry, Die, Cherish, Perish in that simple forms give way to powerful drama. Adverbs never builds on itself the way Love does, though, so it remains an interesting diversion more than a literary event. it’s July and I once again find myself with limited mobility after dumping a bicycle. Once again, I have been very lucky. Though my injuries will take some weeks to heal, so far it looks like they all will, and I’ll be able to resume my active life. The outlier in healing is an acetbular fracture of my pelvis. Basically I rammed the head of my femur through one of my pelvic bones. The fine folks at UCLA have reassembled it and put more metal in there to hold it together until it regrows. Unfortunately the knitting bone can’t take weight until that process is complete. Last time this happened, I was able to relate a lot of the story of how I fell and how I found myself in the hospital. This time I’ve been spared those details. I don’t know if I hit my head harder; there isn’t so much as a tender spot on my head and I was wearing a helmet. It may just be shock from a wider range of injuries. For whatever reason, I remember biking home for most of the trip and then being in the Emergency Room at UCLA medical center with Brenda. I have no feeling of discontinuity – no memory of waking up asking “where am I?” – just the feeling that the brain was running for a while with the recorder off. Brenda tells me I was in clear diminished capacity when I called her, repeating things and not forming complex sentences. Like I say, I have no obvious bumps and the scans all came back negative. I’m lucky again. What I did get this time that I didn’t last time was my HMO (Kaiser Permanente) and UCLA wrangling over who was going to do what for me. UCLA surgeons did the repair, and I was moved over to a Kaiser facility for a couple days of recovery. Doctors at both facilities reviewed my case, and everyone was professional and helpful. There were some frustrating hiccoughs in getting transferred and vetted at the new place on a Saturday night, but all things considered it all worked out. Now I’m home and getting around on crutches. Today I went in to work for the first time and was even a little productive. I am humbled by the kindness of my family, friends, and co-workers. Everyone has been extremely generous and helpful. And they have been the same fabulous people after going through a similar thing with me a few months ago. My friends continue to amaze me. In January, I spent a few months getting back up on my feet and back to what I was doing. This experience occasions some more soul searching. I simply cannot keep living in a way that puts me in a hospital with serious injuries every six months. I am keenly aware that I have been very lucky twice in six months, and that’s not a tenable strategy. Taking one of these falls 30 miles from home on the highway could turn out much worse. I also love many things about my biking experiences. So while I can’t do it, I’m going to be thinking about how to keep the good parts in my life and reduce the risks associated with them. I’ll keep this blog updated as I work that out. 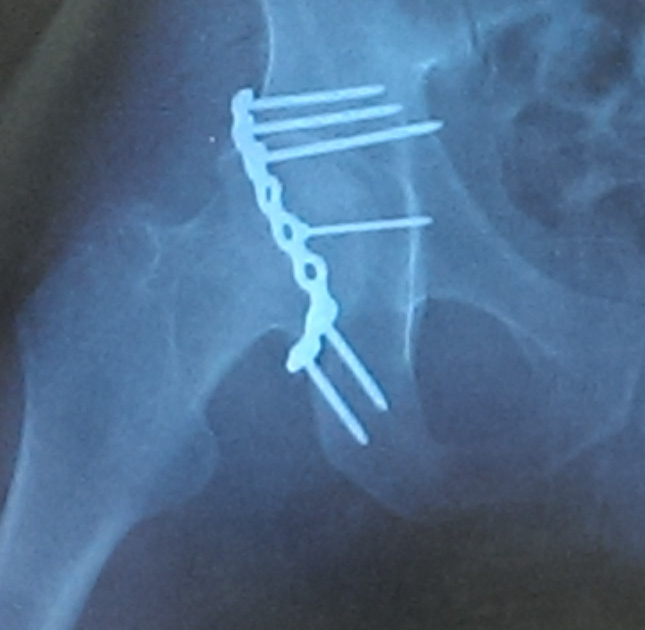 So for the next few months this blog will augment the book reviews with hip fracture reviews; if you get a choice, break the ball, not the socket. What Makes This Book So Great is a collection of Jo Walton’s blog posts about rereading works of SF great and obscure. While the essays are insightful analyses of works of SF, this is not really a critical work. Walton is quick to point this out herself, and the missing element is any sense of distance. While she consistently marshals considerable insight about the specific works she’s reading and about SF and literature in general, she’s unabashedly a fan of the genre and a skilled writer as well. As you can tell from the title, there are no negative reviews in the set. This is about neat books she found while rereading. One of the first things Walton makes clear is that she is always rereading. If you poke around SF and reading in general, you’ll eventually run into someone like her. They are always reading something. They can easily read 10 books a week and usually do. For those of us nearer the mean of the books per week curve, it can be daunting to see and hear. But the truth is that folks like Walton are tearing through a frightening amount of text at all times. While there are readers with Walton’s appetite, there are few with her insight and enthusiasm for SF. Her reviews are honest, well informed and accessible. The balance between the latter is particularly helpful. She knows a lot about writing and SF history and puts the various works into useful juxtaposition with one another. But she does it in a way that’s inviting and interesting. She’s not showing off that she can make these connections, just pointing out what she saw and inviting you to play along. It’s a very tricky line to walk, and she does it consistently. I came away with a list of new things to read and an appreciation for the breadth of SF. If you have any interest in that, have a look. Teju Cole has created a beautiful, low key, memoir of a visit to his home country of Nigeria. Each chapter is a short vignette capturing a facet of himself or Nigeria, or both. Cole write clearly, beautifully and almost hypnotically. Each chapter captures a moment or a day in his time there cleanly and clearly without unnecessary fireworks. The overall feeling is that you have joined Cole on his trip invisibly and intimately. He speaks of his concern for the country’s corruption and shallowness, but the condemnation is not one of an angry activist. His goal seems to be illumination, not rallying. The result is a powerful view that leaves the reader more interpretive space than I expected. You are currently browsing the Walking on the Moon weblog archives for July, 2014.